As the deep cold settles in and we retreat indoors to the warmth of a fireplace or pull out the heavy socks and blankets, it is common for many of us to turn towards darker, higher alcohol beers like stouts and porters. Not to be neglected is the seasonal winter favorite, the winter warmer. 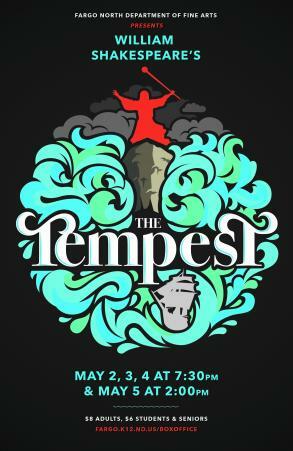 Though the traditional English version would share the same malty, sweet characteristics, I chose instead to focus this week on what we mostly see in our market: the spiced winter warmer ale. Descending from the medieval style of mulling cider, known as wassailing, most modern winter warmers have different varieties and amounts of spices like nutmeg and cinnamon and often deliver flavors of dried fruit, caramel, toffee, and cherry to compliment the spices and really bring warm cozy sensations with each sip. Typically, these beers range from 5.5% to 8% ABV and usually pour deep dark red to completely black. 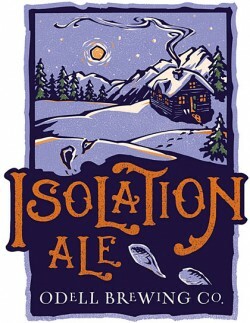 Hailing from Fort Collins, Colorado, Odell Brewing Company knows a thing or two about the isolating power of winter weather and offers up a delicious winter warmer called Isolation Ale, with light hints of spice and dark fruit over a solid malty, bready, sweet caramel backbone. A fairly clean finish with a slight linger of bitter hops encouraged me to take another sweet malty sip. Marshall, Michigan is no stranger to the cold of winter either, and in addition to being freaks with fabulous beards, the crew at Dark Horse brewing is also known for their seasonal winter warmer 4 Elf. The packaging screams Christmas and the minute you pop the cap off a bottle you know why. Assaulting the nose with nutmeg, cinnamon and somewhat piney bitter hops this beer smells and tastes like Christmas through and through. It instantly reminded me of the pumpkin beer tastings but instead of pumpkin, these spices are wrapped around a sweet biscuit base. I would consider this on the “extreme” side of spiced winter warmers and while not for everyone, I found the spices to be in balance even if they were altogether overwhelming. Anchor Brewing Company from San Francisco may not know much about harsh winters and indoor isolation but they have the Christmas spirit and bottle up a different batch of their Christmas Ale each year. While the flavors vary from year to year, typically it is packed full of flavors and aromas that always excite the senses sip after sip. This year, I found so many different flavors with each sip from chocolate, vanilla, raisin, molasses, candied fruit, and of course that winter warmer sweet caramel base but what most surprised me was the incredible aroma of fresh cut spruce that hit my nose the second I opened the bottle. Always different, but always a favorite, I make it a point to seek out a bottle of this every year. Stir Crazy is not only a great name, for Indeed Brewing Company’s winter warmer ale but a great beer for fans of malty beers with light chocolate and dark fruit flavors. Of the ones available locally, this winter warmer leans most towards an English style, with no real spices but packed full of chocolate, caramel, vanilla, and dark fruit flavors. It was also the darkest of the winter warmers I sampled, with the pour being completely black and completely opaque. They use real cacao, vanilla, and pulverized raisins in this beer and the hearty flavors come through in each sip. Seek these and more winter warmers at your local retailer, restaurant, or bar -- but do it quickly. Though it may seem like the longest season to us, in the beer world the winter seasonal is gone before you know it.